Real religion, the kind that passes muster before God the Father, is this: Reach out to the homeless and loveless in their plight, and guard against corruption from the godless world. We seek to share God by proclaiming God’s great love and compassion for us all, as shown through Jesus Christ our Lord. The connection seems obvious enough to this passage: “Everyone who thirsts, come to the waters.” The chapter seems to talk about a party that God is throwing. Why wouldn’t we invite everyone we could think to invite? It even goes on to say that nations as yet unknown to us will come running to us. I find that it is still not easy to talk to strangers or even to friends about how God satisfies my every need. I am starting to believe that sharing God with others, Evangelism, is also a mystery. To try to explain how I see this mystery, please let me explain a little bit about the ministry that I run and how Center for Student Missions is seeking to share Christ here in the Los Angeles Area. Groups come to South LA with CSM– to serve for a weekend or a week. They come with the intent to share God’s great love with those they meet in the city. CSM facilitates this by setting up a series of ministry experiences, service opportunities and cultural experiences. Even if a group comes from a neighboring city, they are sure to learn something new about an area of town that they don’t normally frequent. My hope is that even though groups come with the desire to serve others, to improve the life of someone else, that they might see how much their life can be impacted by meeting someone new, letting Christ be revealed to them in someone unlikely. I really enjoy providing an opportunity for people to have their idea of caring for others turned on its head. I have seen whole churches changed as a Junior High youth group comes home with a new view of the needy in their own community. However, in some ways, I can be just like the groups that come to serve. I am doing my job because I have the idea that I can make peoples’ lives better. In many ways, I put a high value on what I have to offer people with my Occidental College education, my great social skills, and my experience leading students. I know that every one of us comes to a place where we run out of our own abilities, where we hit a wall and need to cry out for help. And I know I have had a few of those: didn’t get accepted to my first choice school for college, moved to a new school and city in 4th grade and didn’t find it easy to make friends. But nothing has challenged me like having my own kids, specifically having a newborn. I had no skill set that I could fall back on. If some people get natural skills for raising an infant, I did not have those. Amazingly, mysteriously, it has been in raising children that I have seen how much I have to learn from those I work with and minister to. I have many stories I could tell of how people I might have previously thought of as the ones I would be reaching out to are the ones who gave me some of the best insights on parenting. Instead I want to share a little story of how I saw God ministering more powerfully through my children than through me. Just a few weeks back, I was taking one of my new staff to see an amazing ministry in Pasadena, the Walter Hoving Home, a home for women coming off the street. I interned at the WHH in 2001 with the LA Urban Project – this is where I really felt a call to urban ministry. Whenever I come back to visit the ladies at the home, I am remembered and greeted almost like a rock star at the Home. Or at least, I feel like I am really contributing something great just by hanging out. While we had a great time sharing lunch with the women of the WHH, I actually spent most of the time trying to make sure my two girls ate something for lunch and didn’t go into any areas where they weren’t permitted. Pre-kids, I would have probably been networking and sharing stories, making people feel at ease. By contrast, this scene was a little crazy and I didn’t hear much of the tour that my staff member was getting. I do remember showing Jane, my three-year-old daughter, the kid’s room. Women who stay here need to make sure their kids have other care while they are completing the 18-month program. Occasionally, a woman’s kids will get to visit for the weekend. Then the mom and her kids will stay in a special room during the visit. Jane could see that this was a special place and we got to talk about how these women need some extra help right now, but that they are going to be with their kids soon. (Believe it or not, this is a familiar story line to her. Her favorite show is on Nick Jr. and it is called the WonderPets. Three small animals go around the world rescuing baby animals and each episode ends as the baby is reunited with the parent.) At the end of our visit, my girls were trying to chase each other around the school area of the home. I was able to briefly say good bye to two women who had been participants in the program eight years ago when I was an intern. They were back in the program. They asked me to come back and visit soon. I know that they meant me and my kids. Jane and Cate were a positive reminder to these women of what they were working for. I praise God for the joy that my daughters can bring. For all the ways that I try to have control over what people see about me, what they see about the job that I am doing, and even what people see in me of Jesus, it is God’s mysterious work that He shall accomplish what He sets out to do. When we reach the end of our ability, he is still there to make the rain come and the seed grow. I cannot stand here and share God’s thoughts because they truly are not like ours. I am encouraged that his words are powerful and that he is near enough that we can seek him and find him. You have chosen to do your work through your people. We have been called to communicate your love by caring for the spiritually and physically poor and hungry of the world. You press our hearts next to the heartbeat of those caught in the syndrome of poverty and those millions who feel hunger gnaw at them day and night. Help us respond to their cries as individuals and as participants in united efforts to care for those who suffer. Motivate us by the memory of your generosity to us, but also by the bracing truth that we cannot continue to grow in grace without obeying your command to feed the hungry and care for the poor. Today, begin a spiritual awakening among believers that sweeps across the world and results in a mighty outpouring of resources to meet the magnitude of the need. And Lord, begin with me. William* was one of the first homeless guys I met this summer. It was during staff training and we were at Salvation Army under the bridge. I actually was talking to another guy when William asked if he knew me. I had not met him before so I said no, introduced myself and then introduced one of the other hosts who was beside me. It just so happened to be one of the boys and William instantly made fun of me for introducing him and not letting “the man be a man and a southern gentlemen.” Well, this somehow led to William making fun of me and me putting up with it…which really was my way in with a lot of the homeless…apparently I’m really easy to make fun of. William ended up being one of my favorite friends this summer. He was always polite, always cared about how I was doing and how my groups were doing. He would gladly talk with any kid I sent his way as long as I spent a good chunk of time talking with him as well. It was kinda our deal, and it worked about wonderfully. William and his buddies referred to each other as family. This group welcomed me in as part of their family and really did look out for me. Today my awesome roommate (and CSM New York City host) Jessica and I were eating lunch together in the student union. We both just kinda looked at each other and sighed. Eating our granola bars and peanut butter apples was not as satisfying as soup kitchen food with friends like William. We aren’t sure what we are doing at school this year except that God is going to use it somehow. But today we both just kinda missed our summer homes and friends like William. "Some have latched onto the Bible's evident concern for the needy whom we find in such abundance in our cities and have used it to fashion a theology of works. A theology of works is a hollow religious shell - furious activity without any specific end. Jesus defines a theology of love which finds a constant production of fruit as its natural outcome. Many of us have either embraced works or else embraced a fundamentally academic interest in love. Love is by definition active and practical. It does not exist in the abstract and only flourishes in adversity - the kind of adversity you find running amuck in our inner cities." Serve with CSM in the city! Paul Borthwick: "The Gospel Goes Forward"
The Gospel Goes Forward from Paul Borthwick on Vimeo. Learn how YOU can serve with CSM! CSM Interns Dive into Urban Ministry Head First! -leading sports for an underserved elementary school in Huntington Park, less than two miles away from CSM-LA headquarters. -interning with Door of Hope in Glendale to provide transitional housing for homeless women and their families. -pursuing a Masters in Marriage and Family Therapy at Fuller Seminary. -working with CSM’s home office to handle group registrations for all ten CSM cities. -fulfilling a commitment to teach English in Colombia and bring many into urban service in Bogota. Interested in serving with CSM as a City Host either this spring or summer? Learn more! Overcoming your past is sometimes a scary, unimaginable feat - especially for those who may have a record or previous addictions. A recent article from Canada shows us that though it can be hard, it's not impossible! Especially when a community surrounds and loves on an individual. Learn how YOU can do just that by serving with CSM! 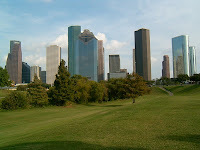 Houston is quite famous for it's southern charm and hospitality - no wonder since it's welcomed over a million strangers seeking a new home. Though these new immigrants and refugees (from as close as New Orleans and as far away as China) have been welcomed with open arms, the city has realized they have much to learn about their new neighbors. Serve with CSM in Houston! CSM provides short-term, urban ministry experiences to student, college, adult and family groups in twelve different cities throughout the United States and Mexico. Visit our website to learn more!